Please pardon our renovations. At this time, there is no search option and no online shopping cart. If you wish to purchase an item, please email us and we will contact you. You can also call us at (800) 366-5275 or (901) 725-6976. This anthology is a who's who of dulcimer greats. Most of these people have been playing for at least 20 years, some for 50. 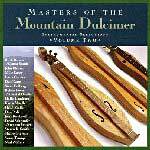 A showcase of dulcimer techniques, styles and repertoire covering traditional American, British Isles and contemporary styles, we recommend this both as an overview for new players and as a treat for dulcimer sophisticates. 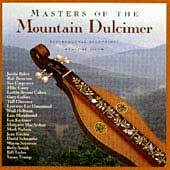 The second in this series of instrumental repertoire by master dulcimer players. 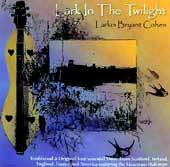 Tunes vary from traditional to contemporary, original, classical, celtic, and old time. Solo and ensemble selections. 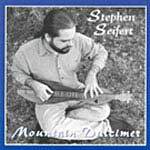 Although Scott plays all the instruments on this recording, the focus is definitely on the mountain dulcimer. As a clawhammer banjo player, he's able to capture banjo licks and integrate the style into his mountain dulcimer playing. How?... by using a flat pick and lots of hammer-ons and pull offs. 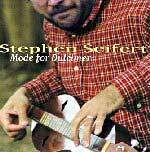 In addition to sparkling fiddle tunes, there are wonderful old time Track List, some Irish melodies and a sprinkling of Scott's original works for dulcimer. "Sandy River Belle/Fort Belvoir Schottische/Sugar Hill"
"Tripping Up The Stairs/Connaughtman's Rambles"
"I'm Tired Of Livin' In The City"
"Cluck Ol'Hen/Turkey In The Straw/Chicken Reel"
"Black Them Boots/Goodbye Liza Jane/Susannah Gal/Angelina Baker"
Stephen Seifert plays 21 traditional tunes from the southern mountains and beyond......yes, indeed! A young player and protegé of David Schnaufer, he gets inside the dulcimer as well as the tune. He shows great respect for the genre, carefully crafts each arrangement, then lays back and plays the dickens out of it. Skill, control, finesse, dexterity, that's our boy! 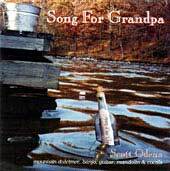 If you love great mountain dulcimer playing and the old time fiddle tune repertoire, get this CD. "Do You Love an Apple"
"The Girl I Left Behind Me"
"(Ghost Riders) In The Sky"
"De Bharr Na Gnoc (From Top of the Hills)"
"Banish Misfortune and Boyne Hunt"
"When They Ring Them Golden Bells"
"Camp Meeting on the Fourth of July"
"The High Road to Gareloch/The Nameless Jig"
"The Mary Suite: Mary Hamilton /Lady Mary"
"Le Chat Blanc Avec les Quatres Petits Chats"
"The Back O' Bennachie/The Duck Jig"
"The Winding Banks of Erne"
"Banks and Braes of Bonnie Doon"